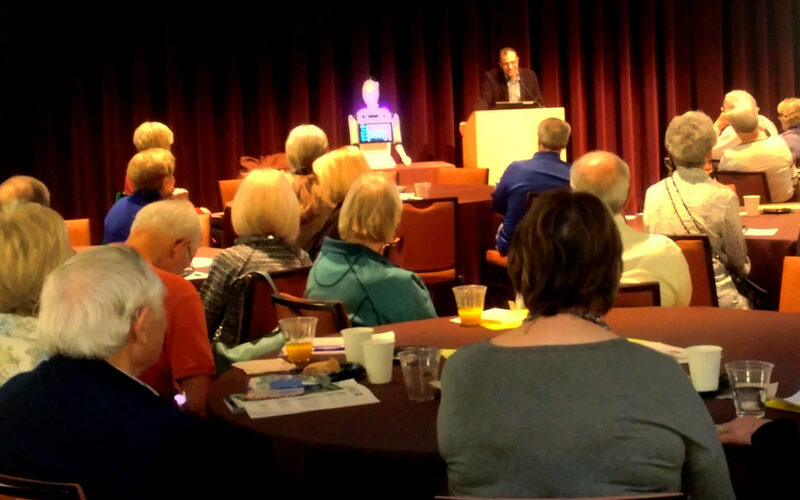 On September 29th of 2018, DreamFace gave a presentation to the Living and Aging Well Luncheon at the Lone Tree Arts Center. The presentations at this event focused on how seniors can use technology, things such as uber, lyft, facetime, and of course Ryan, to remain active. With a crowd of over a hundred people many were eager to get the chance to talk and interact with Ryan after Dr. Mahoor’s presentation.